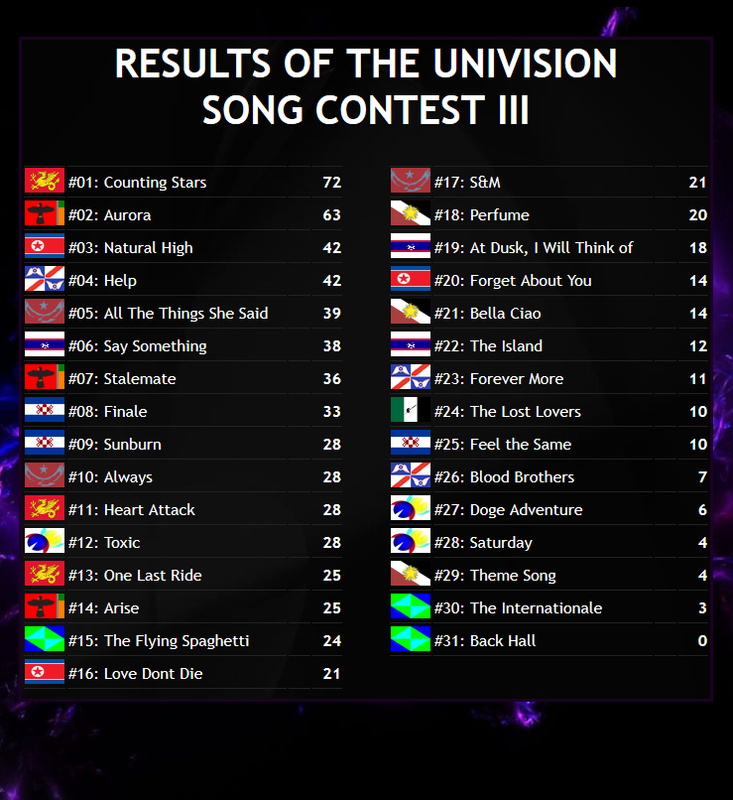 Live from Vorlor, Wyverncliff...welcome to the RESULTS of the third Univision Song Contest! 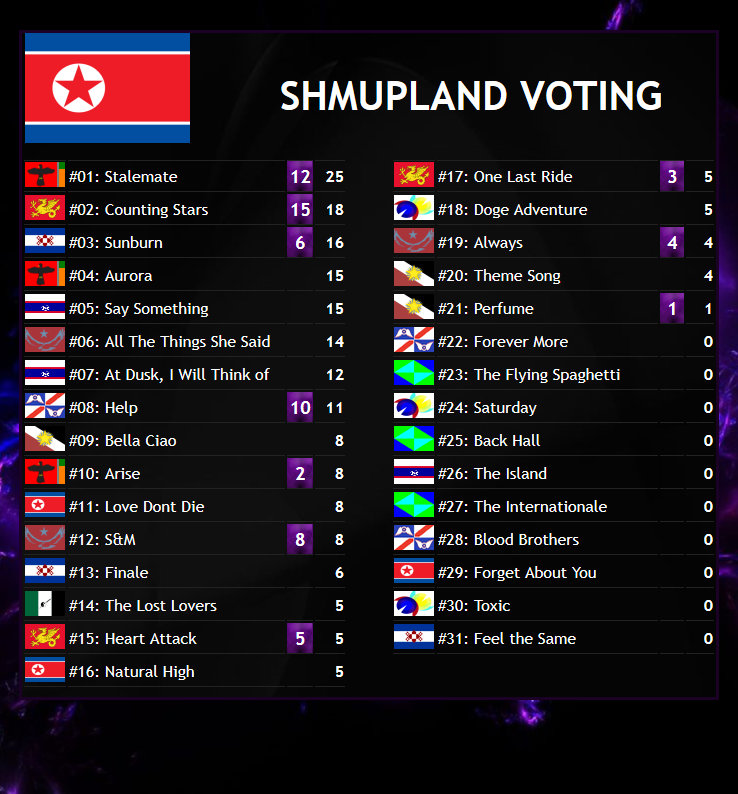 We have 31 lovely songs all competing for first place! 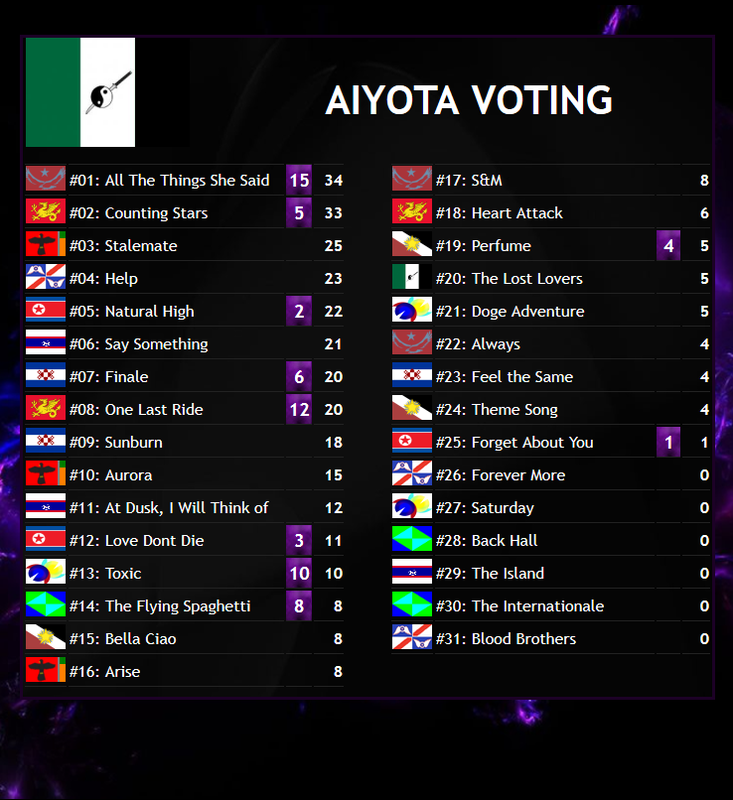 The voting was harsh and only one song will emerge the winner..so who could it be? 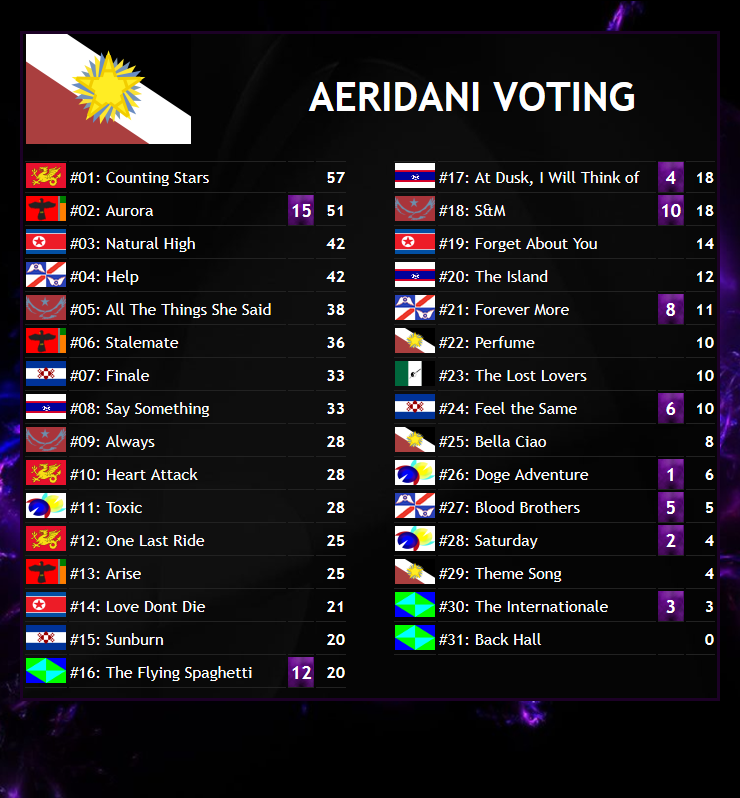 The results show will begin in an hour or two! 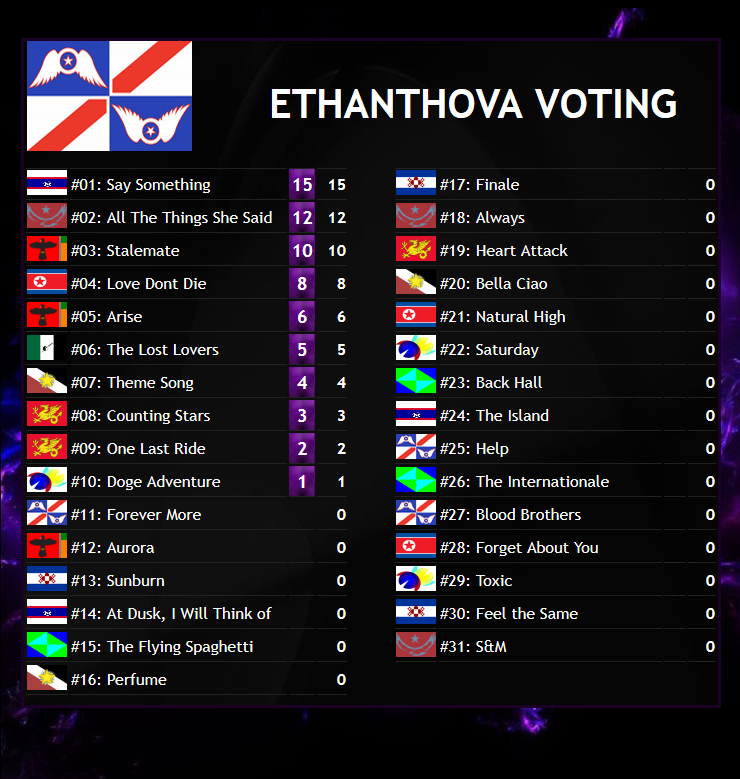 The votes will be released in the order they were received. 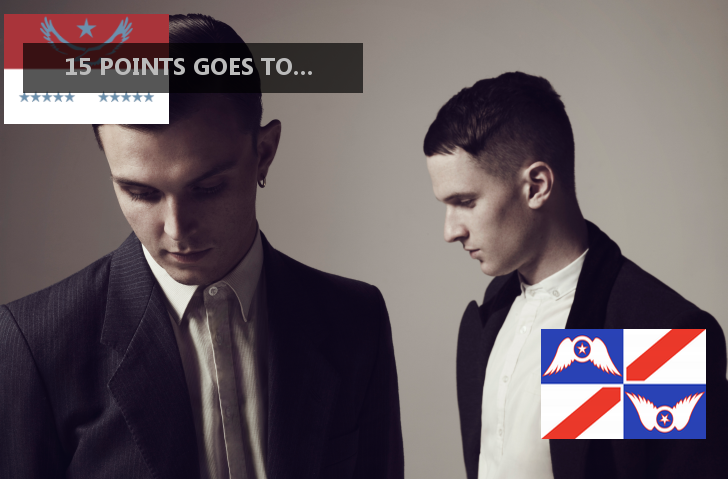 Our first 15 points from matty406 goes to Say Something! well, matty? 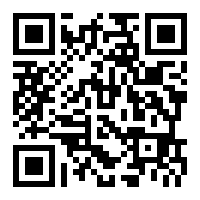 are you going to say something? I mean, all the things she said while counting the stars with you probably lead your love to arise. 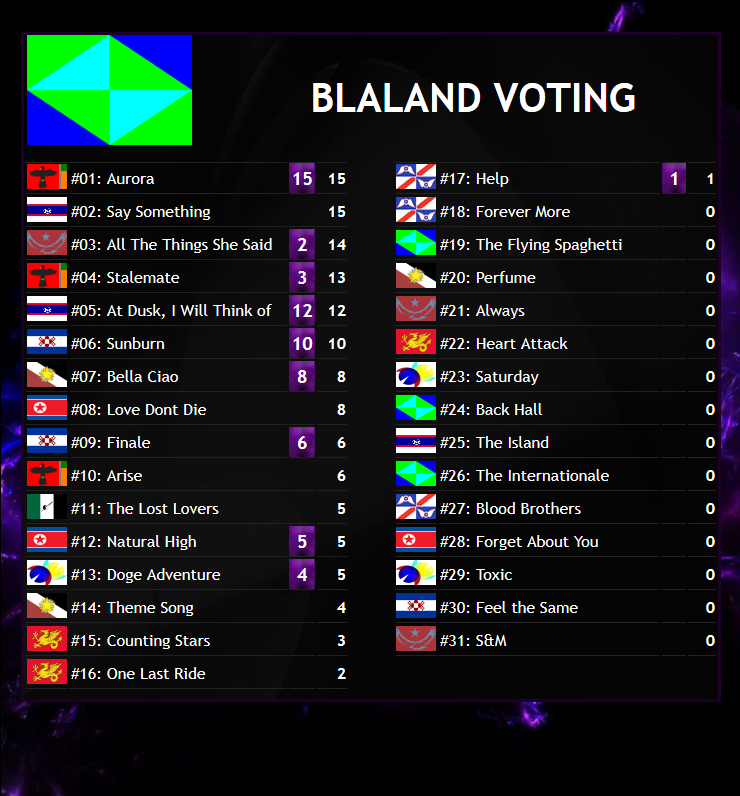 Second 15 points of the evening from Bla goes to Aurora! 15 points from gagnant goes to Counting Stars! 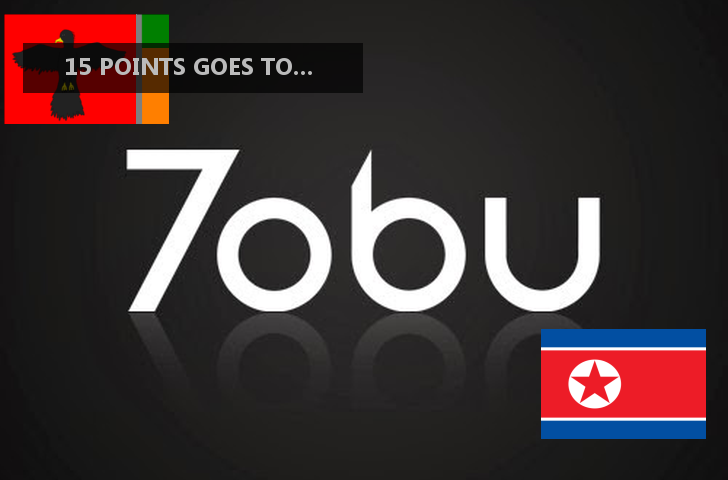 15 points from atomic7732 goes to Natural High! 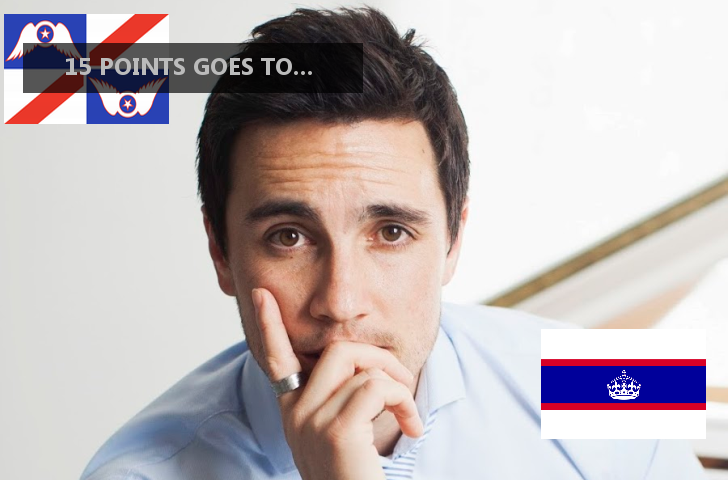 15 points from swonx goes to All The Things She Said! 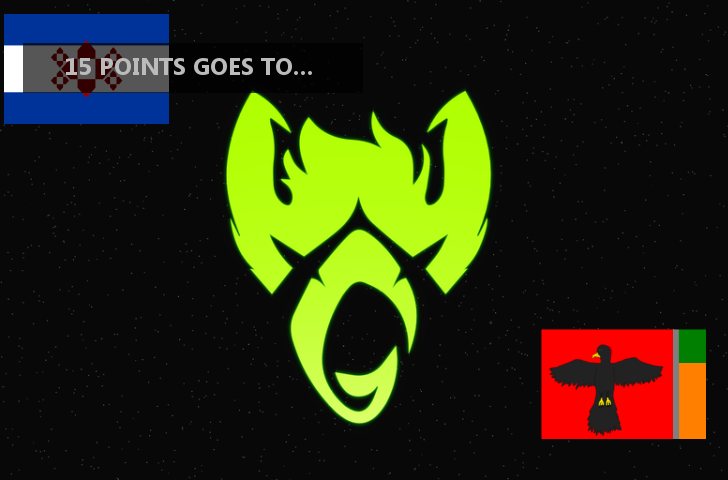 15 points from TheMooCows goes to Always! 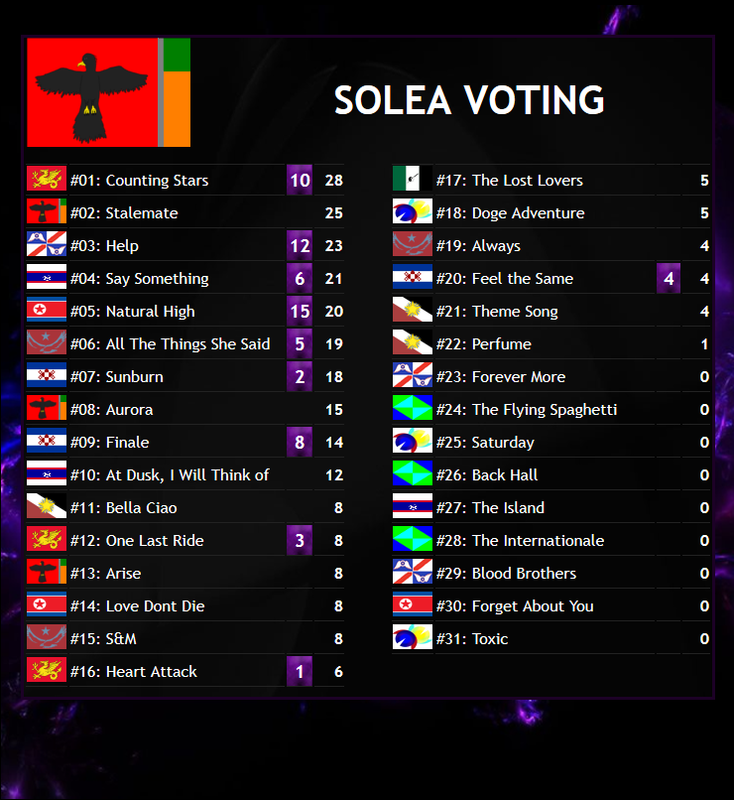 Just over half way, let's look at our leading songs! 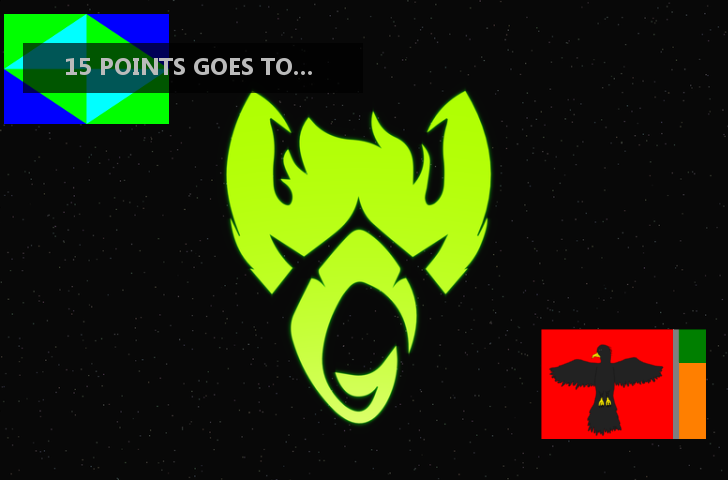 Are we going back to Aahrus or Wyverncliff next edition? Or a change of scenery in Shmupland? 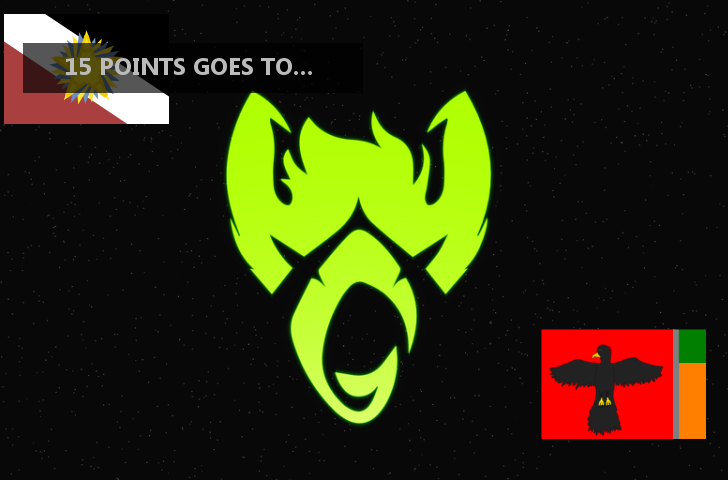 15 points from the most wonderfully amazingest person ever goes to Help! 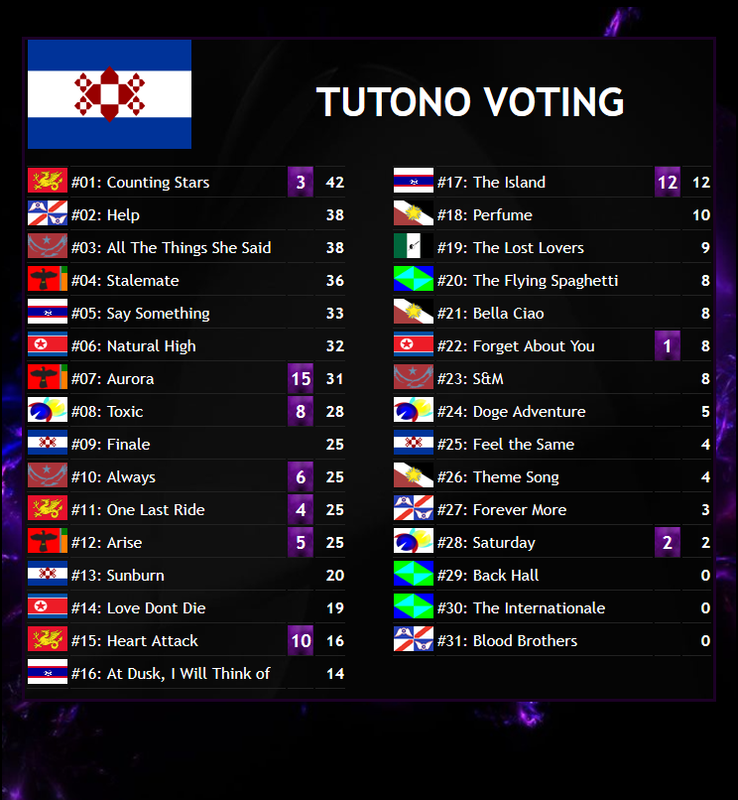 15 points from Tuto goes to Aurora! 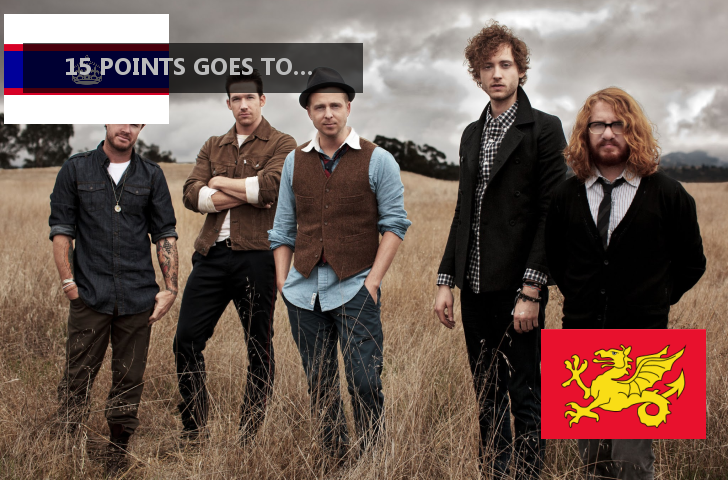 15 points from Naru523 goes to Counting Stars! 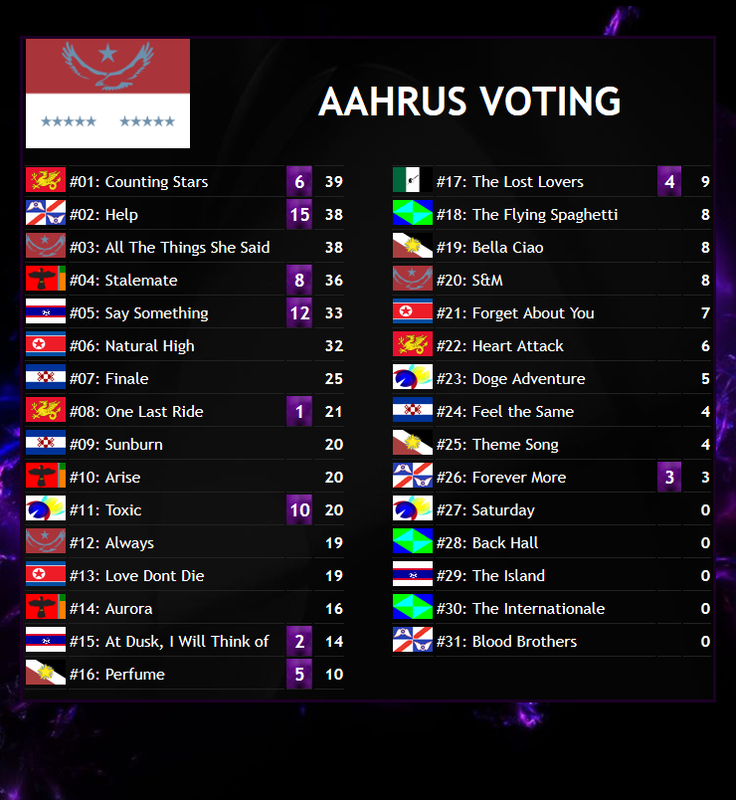 15 points from FiahOwl goes to Aurora! 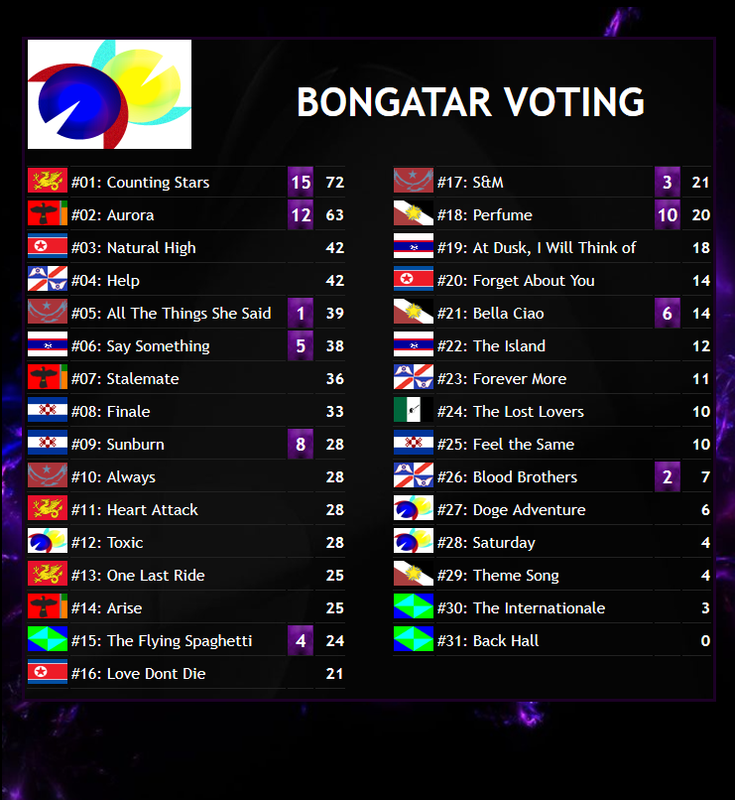 With a 6 point lead between the winner and second place, bong's votes will determine it all! I just have a knack for voting for things that won't win, ya know? i hope you failed at that!!! 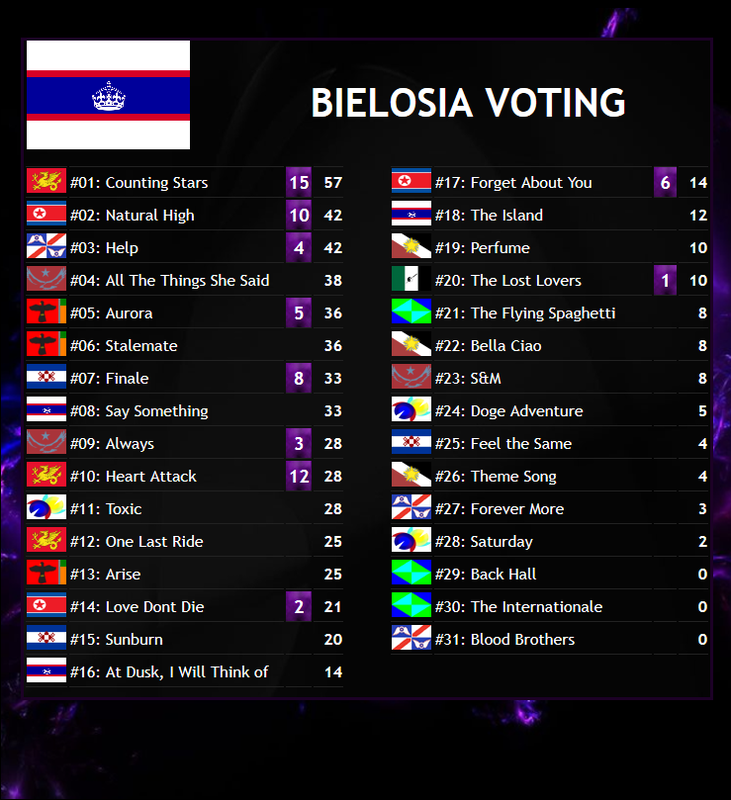 The final and decisive 15 points from bong goes to Counting Stars! 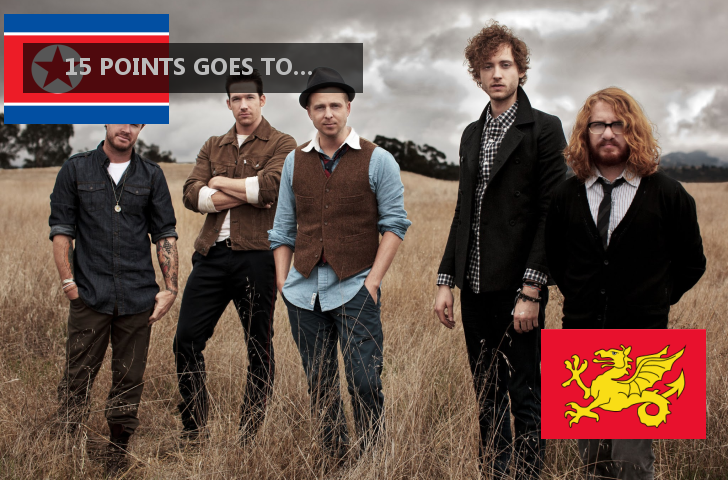 COUNTING STARS BY ONEREPUBLIC WITH 72 POINTS! 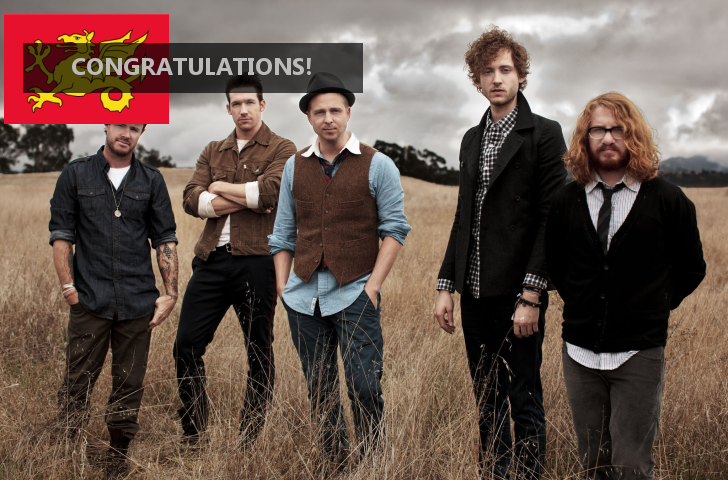 Congratulations to Wyverncliff and thanks to everyone for participating! 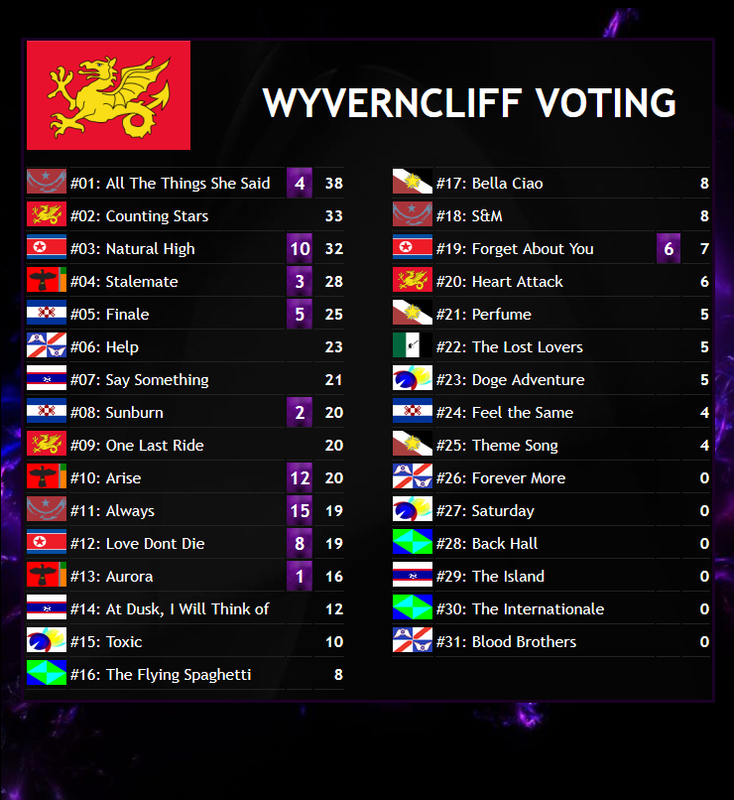 it's great to see this contest survive for the third edition and the future seems pretty bright We'll be back in Wyverncliff again in June, see you there! 2nd is amazing thanks guys we'll get those cows next time!